Work as A Professional Copyright Reserved.. Index for the Training Introductory words Skills & Professional Development: A case study How are we expected. 1 Work as A Professional Copyright Reserved. 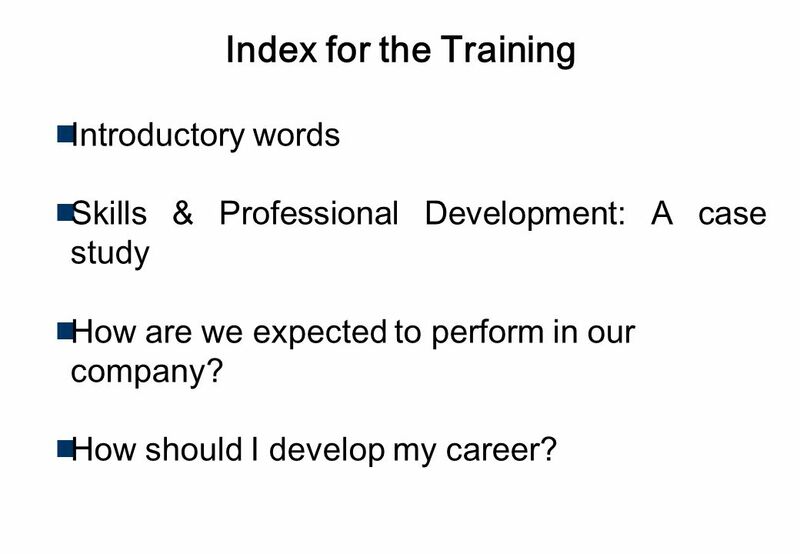 2 Index for the Training Introductory words Skills & Professional Development: A case study How are we expected to perform in our company? 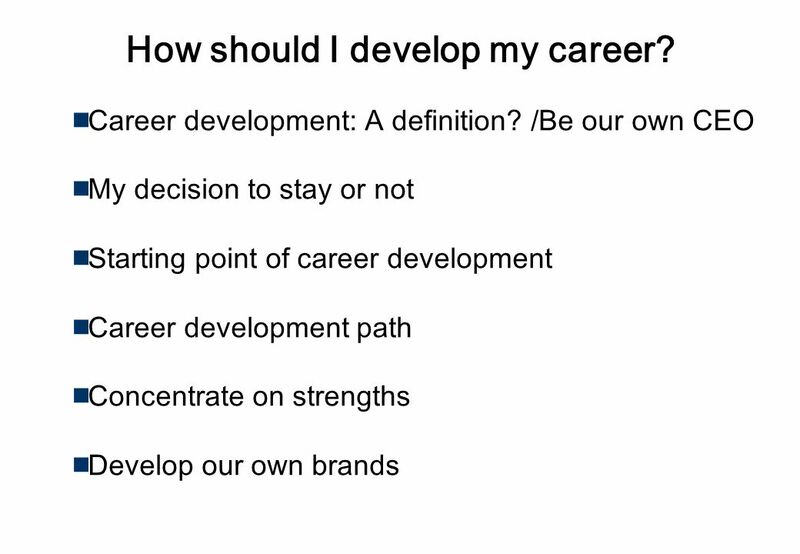 How should I develop my career? 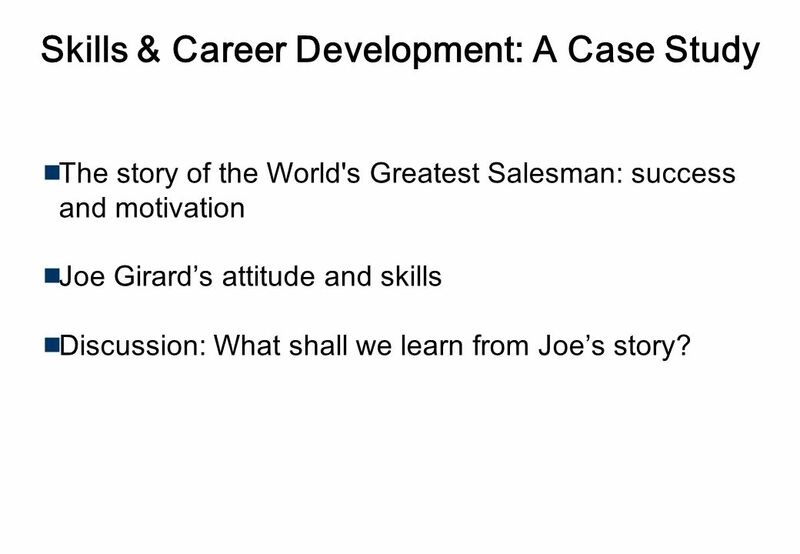 4 Skills & Career Development: A Case Study The story of the World's Greatest Salesman: success and motivation Joe Girards attitude and skills Discussion: What shall we learn from Joes story? 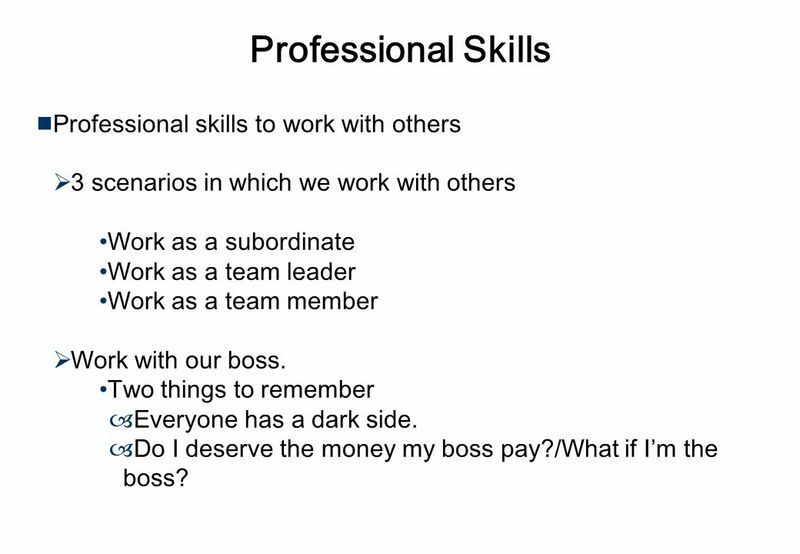 8 Professional Skills Professional skills to work with others 3 scenarios in which we work with others Work as a subordinate Work as a team leader Work as a team member Work with our boss. Two things to remember –Everyone has a dark side. –Do I deserve the money my boss pay?/What if Im the boss? 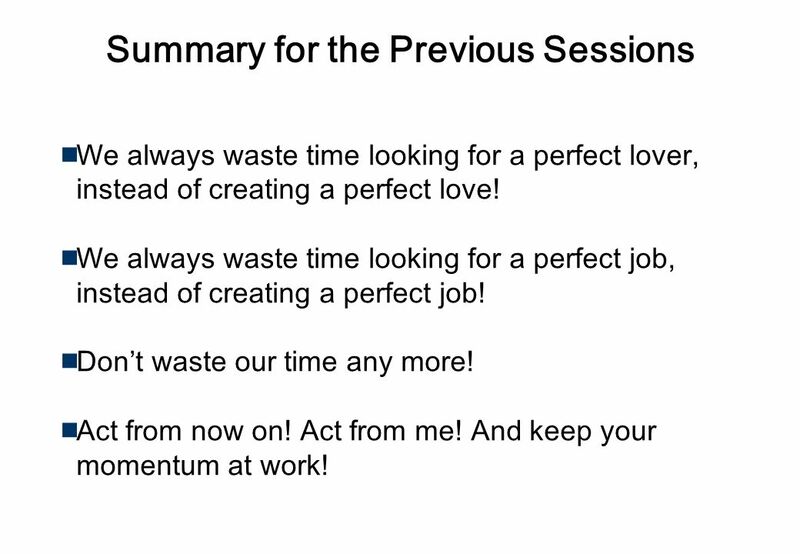 12 Summary for the Previous Sessions We always waste time looking for a perfect lover, instead of creating a perfect love! We always waste time looking for a perfect job, instead of creating a perfect job! Dont waste our time any more! Act from now on! Act from me! And keep your momentum at work! 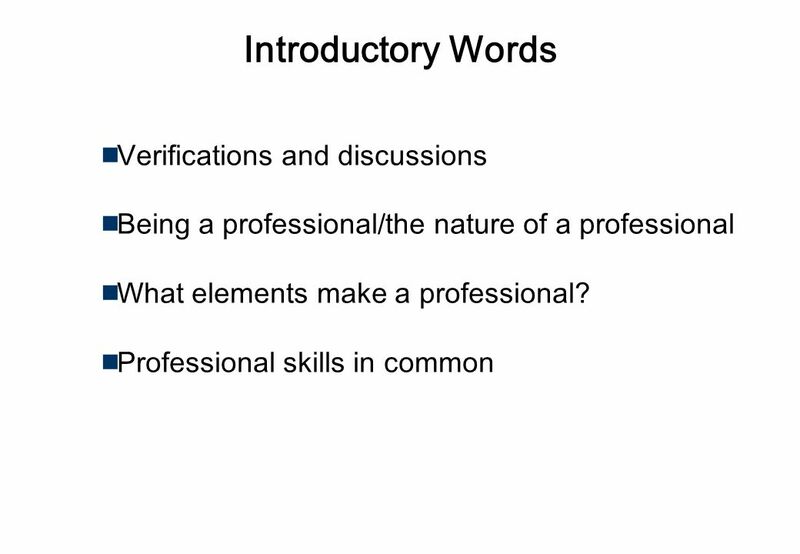 Download ppt "Work as A Professional Copyright Reserved.. Index for the Training Introductory words Skills & Professional Development: A case study How are we expected." TUG OF WAR Presented by Wendy Armstrong, Director of Accounts Payable in the office of the Auditor of State of Indiana, Connie Nass. 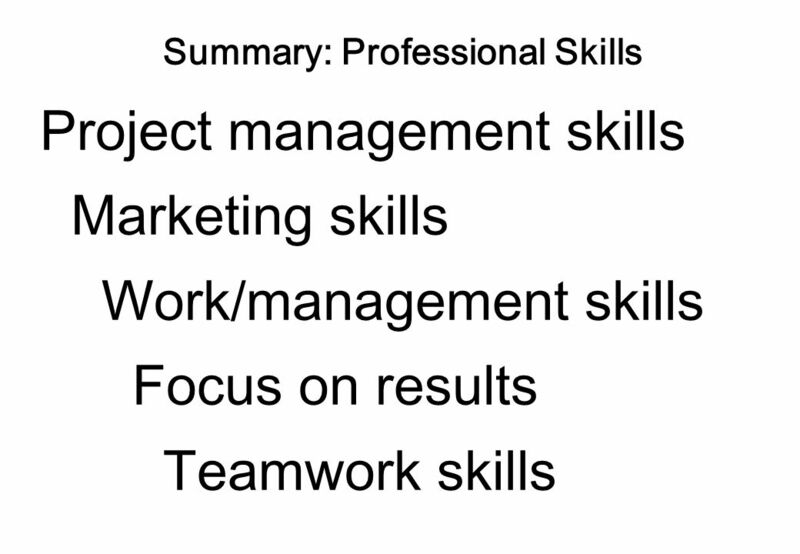 Im not sure what my strengths are Im not always confident in my own strengths My boss doesnt recognize my strengths. Working With Others A working relationship is created to accomplish a task or a goal. Objectives: -explain how certain factors contribute to good working. 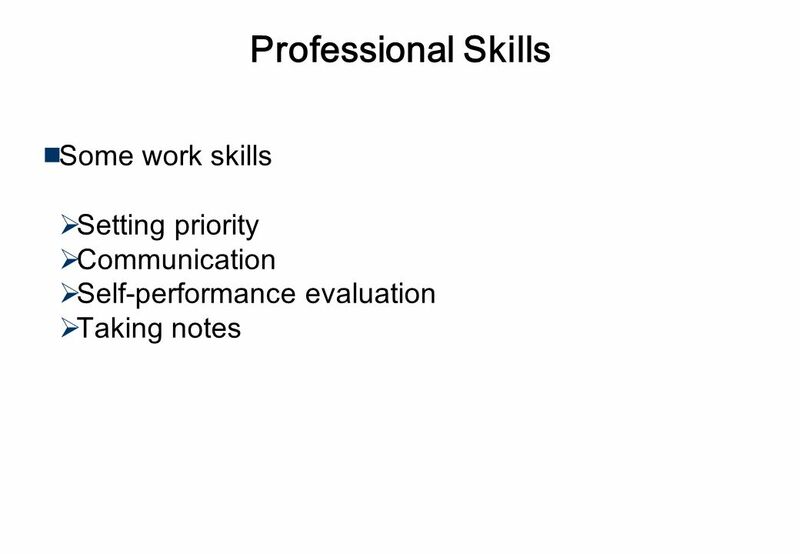 Participating in Performance Reviews Preparing for and Participating in (Relatively) Stress-free Review Meetings. A.M.B.A Major Leadership Concepts. 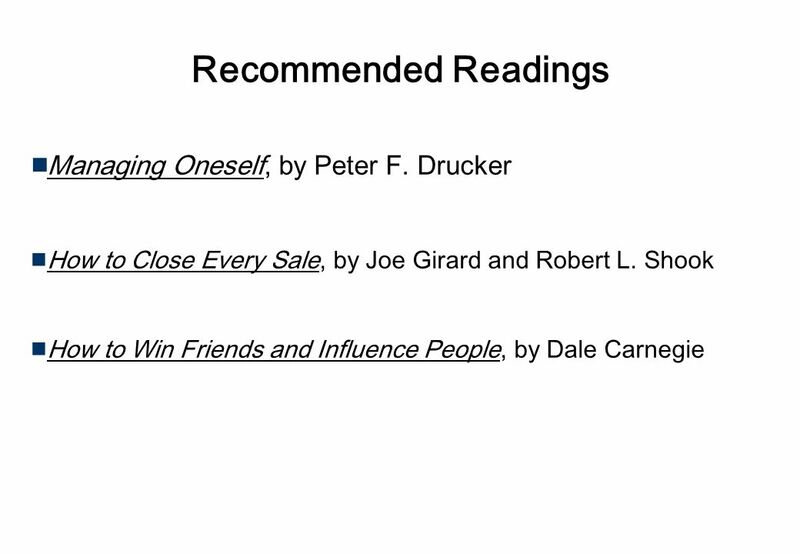  I can’t lead if I am not at the top ◦ Influence Vs Power (p.4) ◦ Is legitimate power a substitute for leadership? Three Interviewing Secrets How to have a great interview even when the situation feels anxious, awkward and artificial From: TheLadders.com February 2010. HOW I COMMUNICATE WHO I AM Beginning of Section 2 of Four Parts. Beyond the Bench; Jobs and How to Get Them? Part I © Keith Scharnau, KAS Consulting March 19, 2008. An MD’s Calling to Donation What Is a Champion: Keys to Success in Building an Organ Procurement Program Takkin Lo, MD, MPH, CWSP Founding Director, Organ. 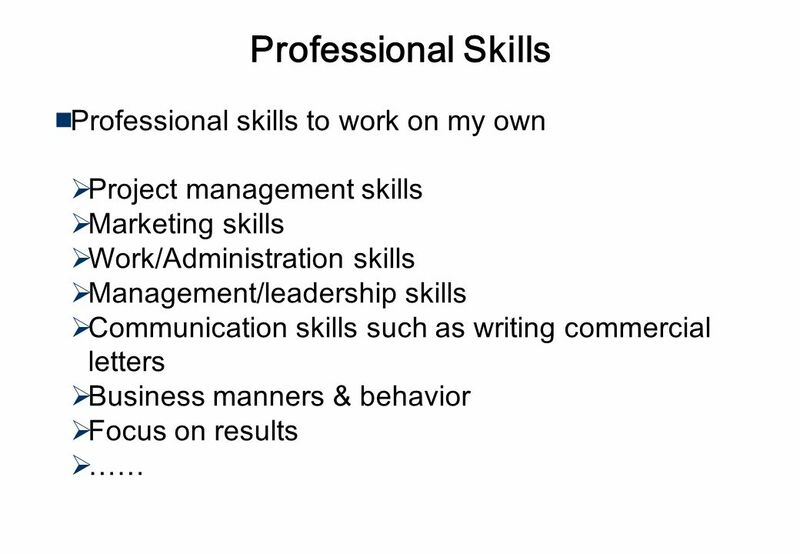 © Thomson South-Western CHAPTER 13 SLIDE1 Ann K. Jordan Lynne T. Whaley Investigating Your Career Searching for a Job. By Sean Truszkowski. Leadership Being a leader is a big role in this world because everyone looks up to you. People will look to you for advice. There. 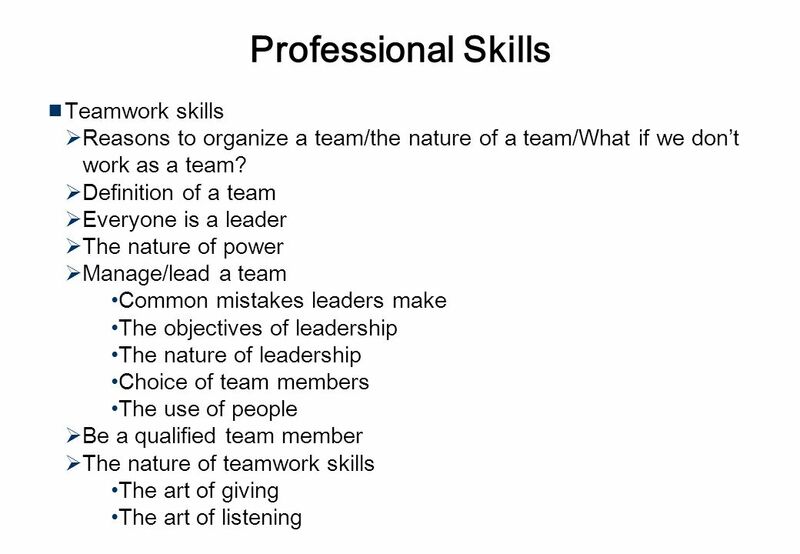 JOBTALKS Coaching as a Leadership Style Indiana University Kelley School of Business C. Randall Powell, Ph.D Contents used in this presentation are adapted. 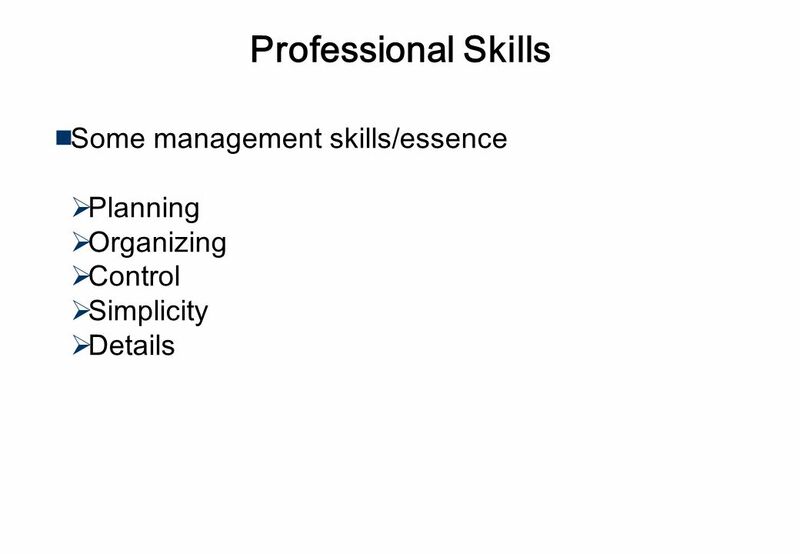 Management 371 Introduction. Objectives today Explain the purpose of the course and introduce the theme of this course--- leadership.